Brawl of the week: A Cavalcade of Brawls! 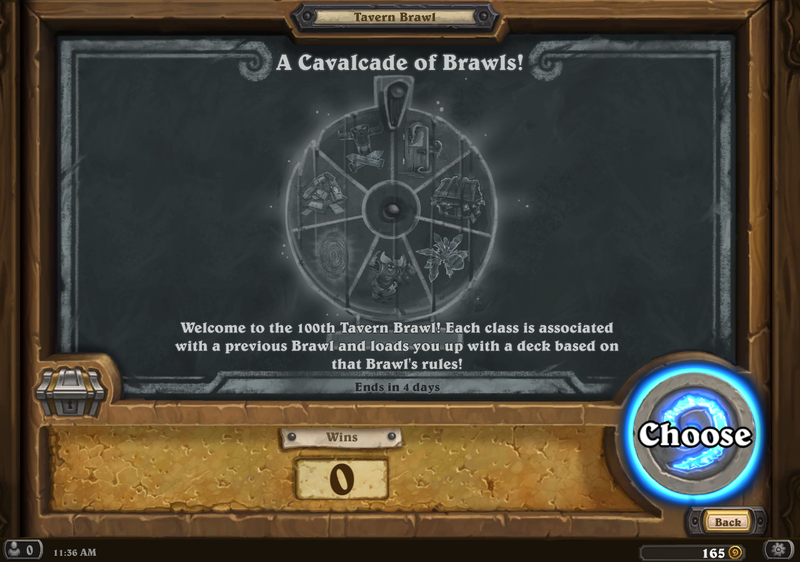 This week marks the 100th brawl since Tavern Brawls were launched. 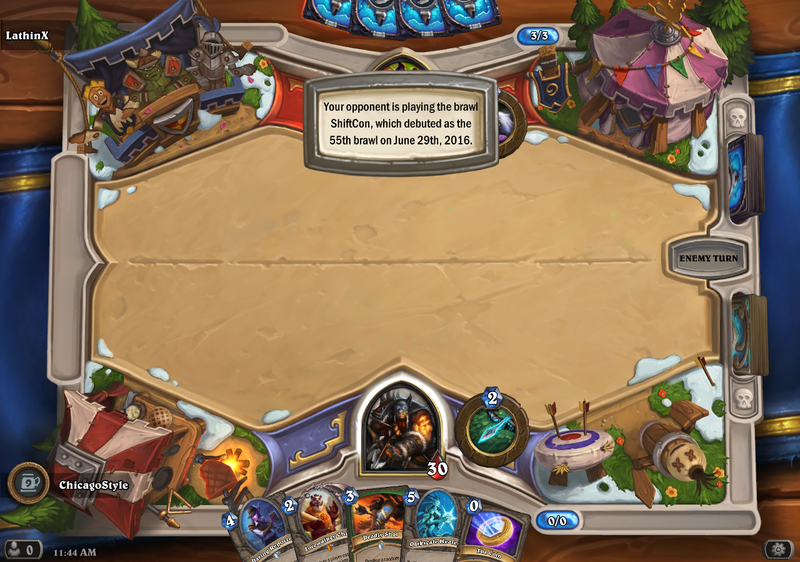 So in honor of that, Blizzard is giving each class it’s own brawl. For instance, the Mage class gets “Too Many Portals”, while the Warlock gets “ShiftCon”. It’s a bit unblanaced, but aren’t they all a little one-sided at times? 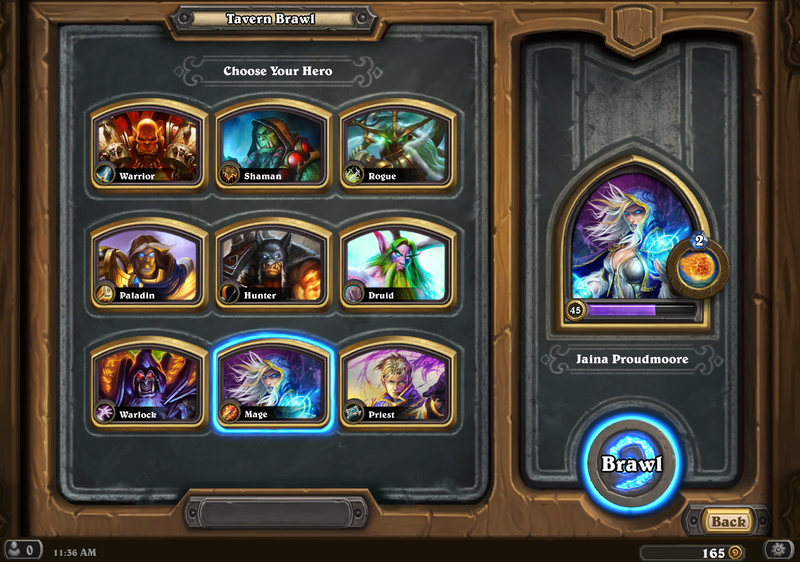 Of course I picked the mage–even before I knew what brawl I would get. I figured it might be one of the portal ones. It’s looking a lot like the portal brawl. What was the name? Priests get “Cloneball” which can be tricky. Unless you get a Kel’Thuzad or two. 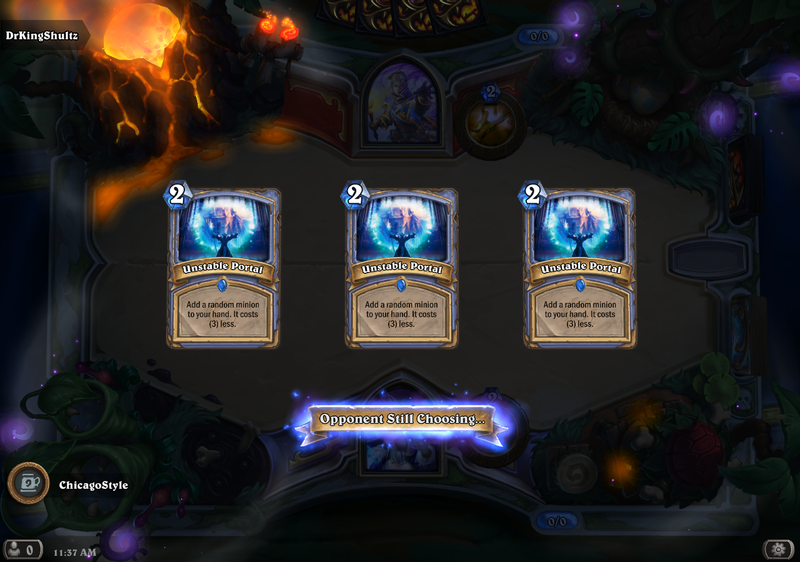 I thought I was set up pretty good when they played Millhouse Manastorm, but my run was short lived! 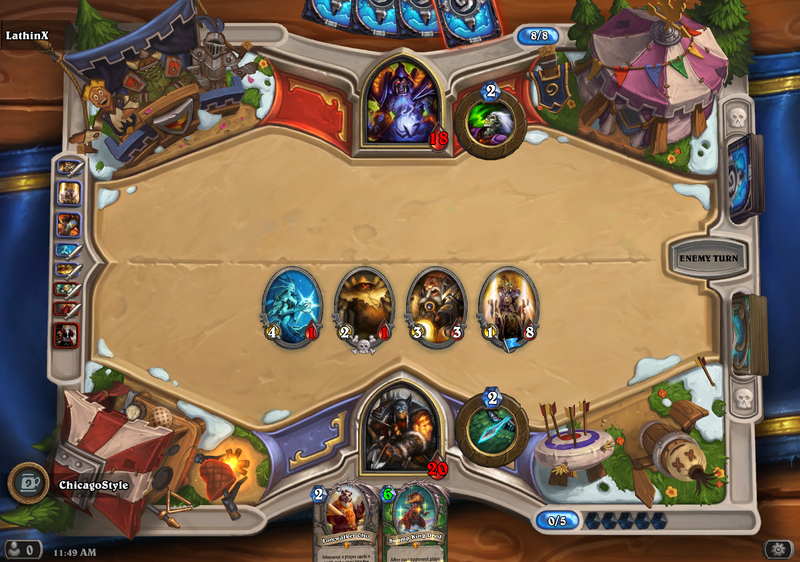 This time I picked the hunter–who gets Randomonium. 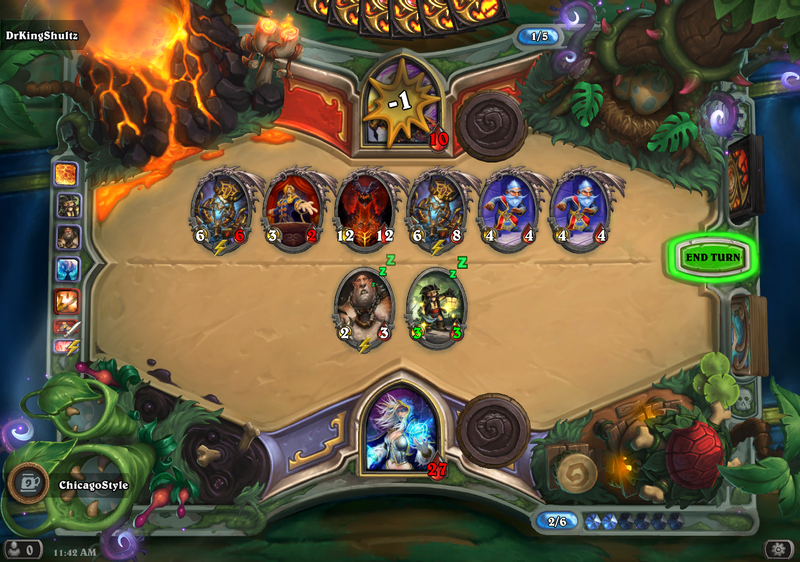 Heavy on the RNG, but the values of your cards changes by turn, so there are options! The Warlock gets ShiftCon: A deck full of Shifter Zerus. 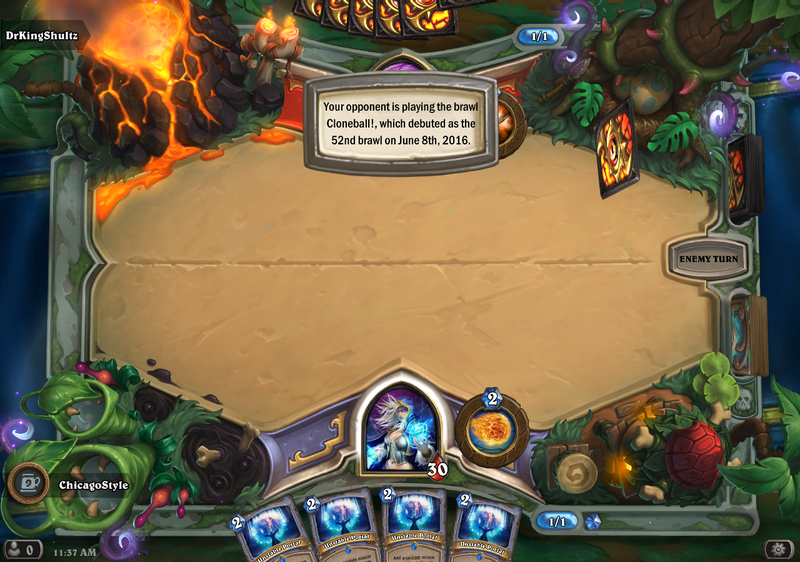 It’s a lot like Randomonium, except the entire card changes each round, not just the value. It was even for a while, the the odds swung in my favor. Which, I quite liked. 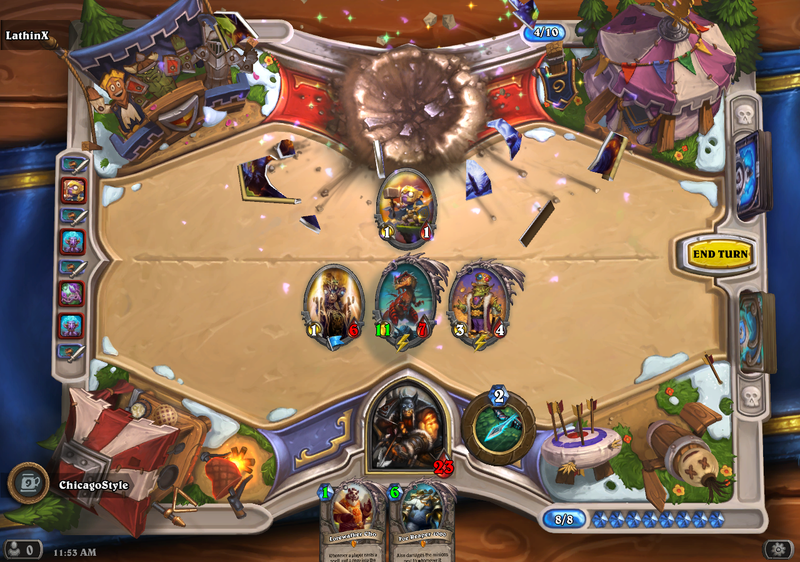 Alas, this brawl is over. The sheer variety should/could make this one of the more replayable brawls. 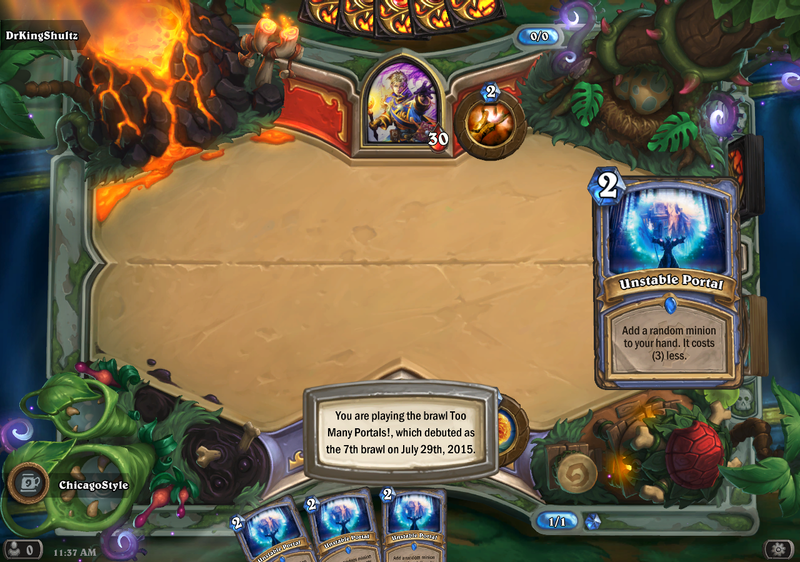 Newer players do not need to worry about having lots of cards, as the decks are all provided for you. So go on and get in there. Help Blizzard celebrate their 100th brawl, and pick up that free pack. See you next week! 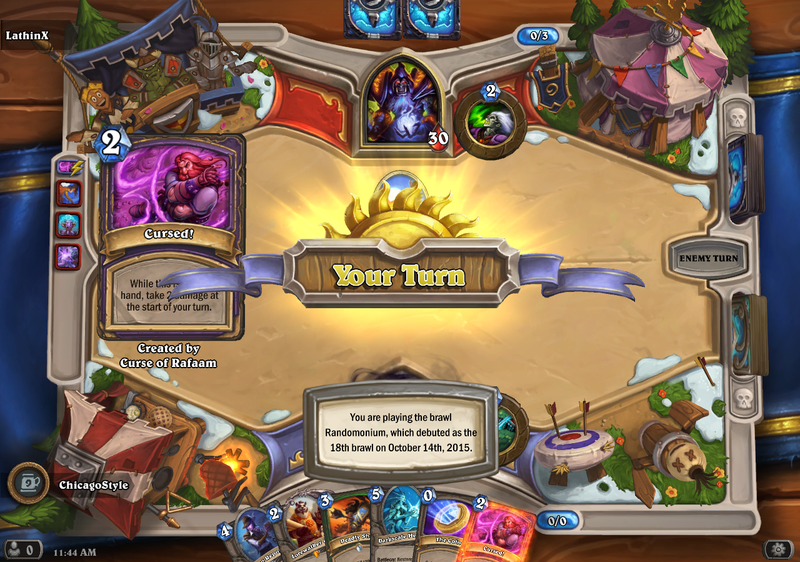 This entry was posted in Hearthstone and tagged A Cavalcade of Brawls!, Brawl of the week, Hearthstone, Tavern Brawl. Bookmark the permalink.